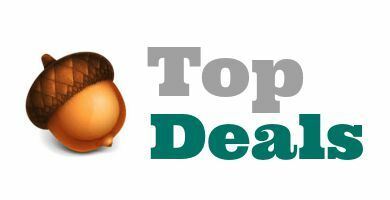 Home > Weekly Top Deals > Top Acorn Deals | 19 Freebies! Top Acorn Deals | 19 Freebies! Here are the top acorn deals at various stores for this week. I gave “acorns” to all of these deals, which means that they are super cheap or even FREE!Stock up on these items and/or donate them. Total Due: $1.58 for everything!